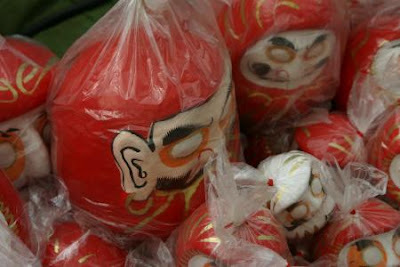 Our Daruma san of course likes to have his ears cleaned too. His favorites are the Geisha in the pleasure quarters. And sometimes he visits O-KAME for a good clean.
. Mimikaki, Earcleaner 耳掻き .
. Business in Edo . 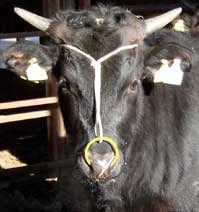 so his ears might hurt, just like the nose ring of a cow.
. Earrings 耳飾りと Mimikazari .
. Mimi 耳お守り amulets for ears .